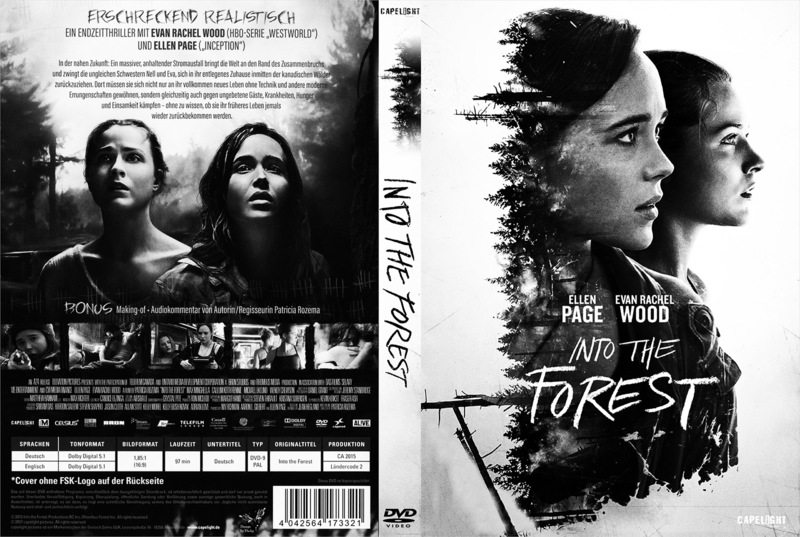 There have been a fair few films which have investigated how a small group of people cope with various post apocalyptic scenarios, which is the theme of Into the Forest a 2015 film, based on Jean Hegland’s 1996 novel, written and directed by Patricia Rozema. This is a measured take on such apocalyptic scenarios, which in this sense and in being a form of pastorally set science fiction, it may well sit alongside The Wall/Die Wand (2012) and Z for Zachariah (2015), and has a slower more reflective pace than much of modern cinema. Also, in these films the dramatic changes in society are not overtly dwelled on in say a more exploitation and spectacle oriented lumbering mutants and warriors roaming the wasteland manner (which I don’t write in a dismissive manner as there is space for all kinds of ways of telling similar stories within cinema). There is a sense of space in the film which brings to mind John Carpenter’s comments on two of the main ways of making films – one which draws from German Expressionism and allows space for the viewer’s imagination and that which draws from Russian montage and is more concerned with a constant, possibly shallow, stimulation of the viewer which he has referred to as b-bop like. 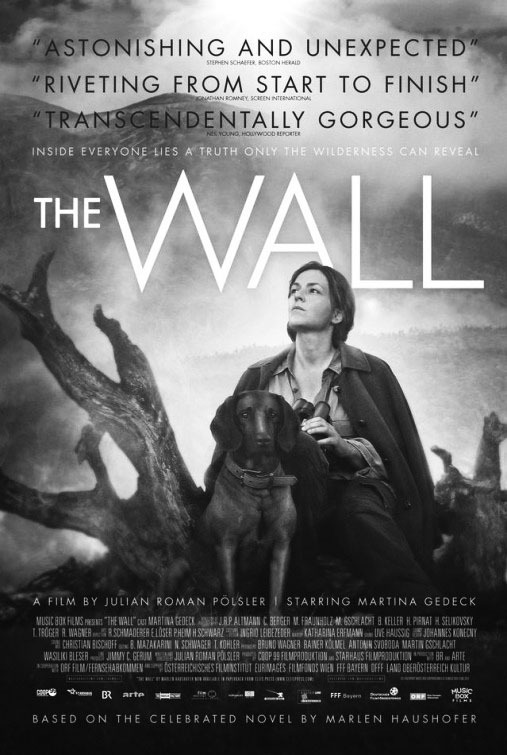 Into the Forest presents a world that is suddenly without electricity and as with The Wall it does not explain why this change has come about in the world. It focuses on one particularly family unit of a father and his two daughters who live in an all-mod-cons house in an isolated part of heavily forested land and is set slightly in the future, featuring the see-through computer screens which are often signifiers for that in film. When the electricity supplies no longer function there is an initial bratty pique from the younger members of the family whose lives revolve around access to electrically powered technology. 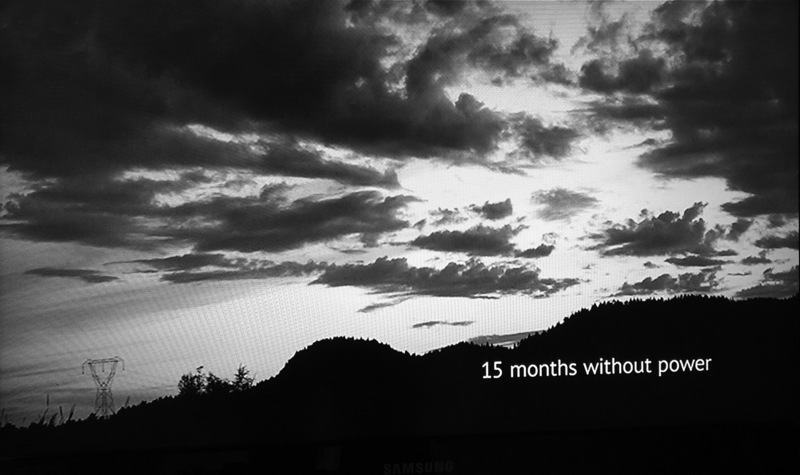 As the film progresses it explores a sense of human resilience and foibles in the face of massive change and difficulties and also of the bond between family members (at one point one of the sisters leaves with a new lover for a rumoured place which has electricity, only to be drawn back to live with her sister). It is difficult to know the truth of how humans would survive without access to modern electrical technology, although as is commented on in the film, humans have been present on the earth for many thousands of years before the advent of electrical power and have only had access to it for a relatively brief period. In this sense it put me in mind of Neil Ansell’s biographical book Deep Country, in which he wrote about when he lived in a remote rural cottage without electricity, mains water etc for five years and was largely self-sufficient. However, he did still have access to contemporary medical support when he needed it and was only “largely self-sufficient” rather than 100% so, as is likely to be the case in a scenario such as the one in Into the Forest. Similarly in Into the Forest, for a while day-to-day life is manageable sheltered in the family home and with the remnants of resources, tools etc from before electricity disappeared from the world but as the months and even years pass these non-natural resources begin to run or wear out and the family home literally begins to fall apart; there is a sense that it is only a matter of time before a new way of more basic, primitive living will need to be found. One explanation for the reason why horror films are popular is that they allow the viewer to experience and mentally practise responses to challenging and extreme scenarios, without experiencing real world threats and it is possible that the popularity of post-apocalyptic films is in part that they provide a not dissimilar fictional “safe” space and function.